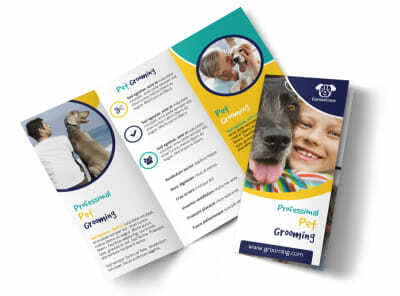 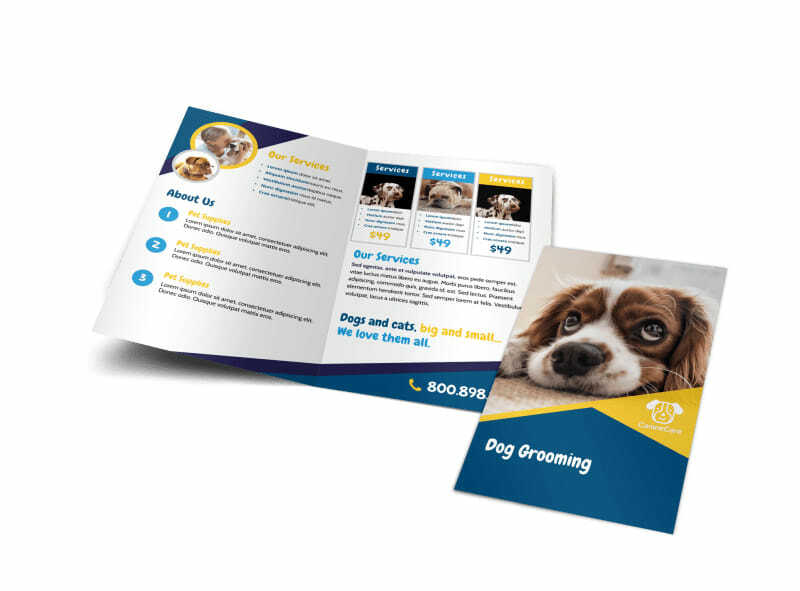 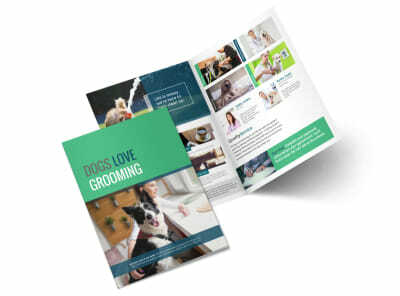 Customize our Adorable Dog Grooming Bi-Fold Brochure Template and more! 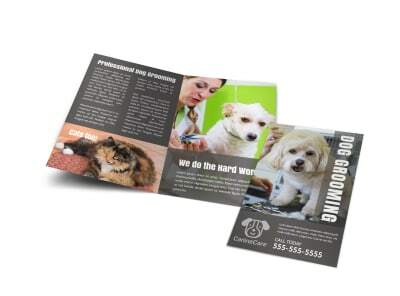 Position yourself as a doggone best in the business with this bi-fold brochure to promote your dog grooming services. 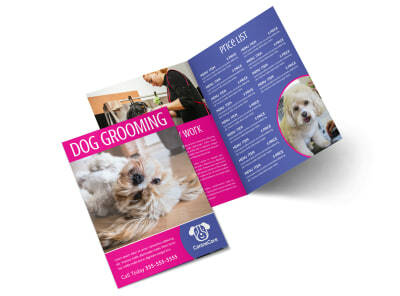 Customize your bifold brochure with images displaying your dog grooming talents, along with compelling text detailing the services you offer. 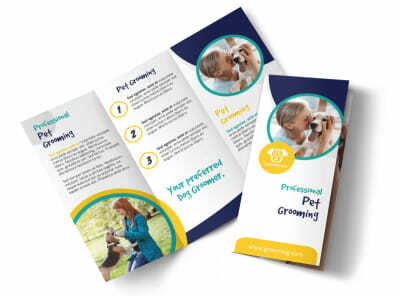 Begin your brochure design with a few mouse clicks now!